God is looking for people that will be a mouthpiece for Him. He is seeking people that will represent His presence here on the earth. He wants you healed, delivered, set free and operating in His power to fulfill His purpose for your life. I was supernaturally healed twice from cancer without medication, loss of hair or change in diet. God did it! He also healed me from a lump that was on my breast right up to the time the doctor examined me and asked the question, “What lump?” God has unlimited power. You do not have to die prematurely. He is still healing people today and He wants to heal you. I encourage you to read this book and to apply the steps to your life. God loves you; with an amazing unconditional love. He wants to heal you so that others can see, and hear through your testimony that He is still alive today. 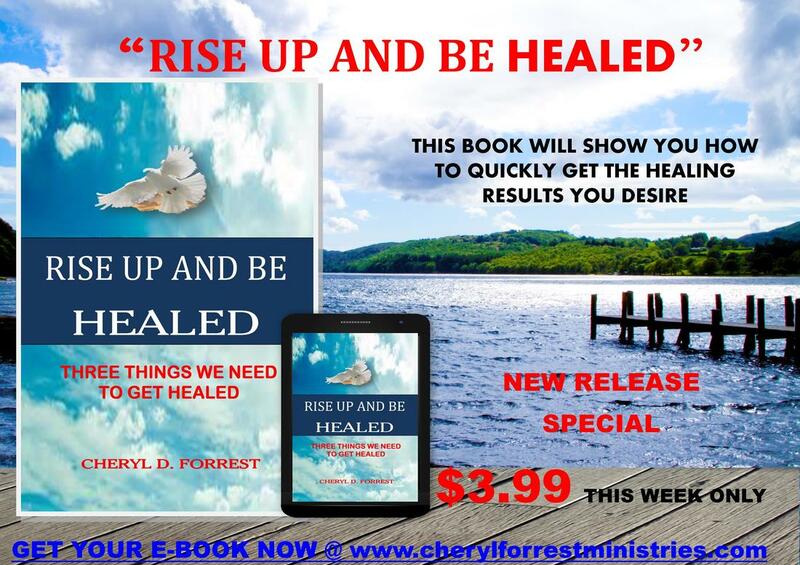 This book also includes four tested and proven Healing Experiences with instructions on how to quickly get the healing results you desire. This Healing CD was played on 1270am radio station and many called in to testify of being healed from cancer, pain, sickness, and disease. HEALING TESTIMONIES - THANK YOU!